The Desert Boot: This classy boot came into existence in the late 1940's and was first created when Nathan Clark saw the original boots during the second world war. And when you think about styling this footwear then go for a casual look. Quick Tip: you can wear these shoes with a pair of denim jeans with a plain long sleeved t-shirt. This will give you a classy and effortless look. For winters throw over a black leather jacket to keep you warm thus adding a texture to your look. The Loafers: Majority of them love wearing loafers, they are one of the versatile pair. Loafers were first started in America and was seen by Raymond Lewis Wildsmith and later on brought to Europe. Wearing loafers always calls for a formal look. Quick Tip: if you wish to wear them in an office then try with a pair of grey trousers. This will work better than a lighter pair. Team your loafers with a white button down shirt and you will be stylish in the office. But if you have hesitation in styling this outfit because of your short height then you can buy best height increasing shoes in India here. The Brogue: This shoe was traditionally used in the country as a walking or a hunting shoe reason being the design and leather was more of a practical use because when they were used for a walk in, it would allow air and water to escape from the shoe, leaving your foot dry and cool. Quick Tip: for a smart casual look wear this pair with a white shirt and chinos along with a formal jumper. The Trainer: Trainers are something which we all want in our lifetime. 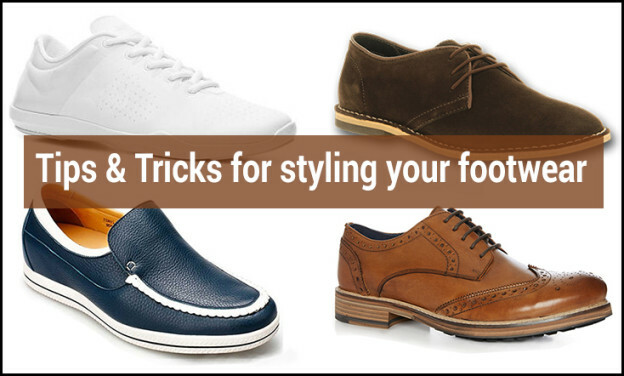 You can wear trainers with a multitude of looks rather than focusing on just casual look. Not only you can wear them for a style agenda but also they go for an exercise session too. Quick Tip: for the style element wear your trainers with a grey sweatshirt, teaming them with a pair of joggers in black for a stylish and comfortable look. On that note: It really doesn't matter what kind of shoes you are wearing this season. Make sure you wear and carry them in style!